A senior executive at Nokia has responded to rumours that Microsoft is readying a bid for the mobile arm of the Finnish company, saying they were wide of the mark. Nokia and Microsoft decided to partner up back in February in a bid to take on Android. So far we have not seen this partnership bear fruit, but from day one there was speculation that this could be more than just strategic – a test bed for Microsoft taking Nokia under its wing. News today that Nokia was getting rid of the Ovi brand and sticking with just Nokia has fuelled speculation that a takeover was on the cards, with Nokia know-it-all Eladr Murtazin saying in a blog (which was translated from Russian by Unwired View): "Next week Nokia will start the negotiations about the sale of its phone unit to Microsoft. Microsoft has been spending big recently, acquiring Skype for a cool $8.5 billion. Seeing as this was a cash offer, we have a feeling Ballmer and co have enough in the coffers to claim Nokia for their own. Mark Squires, UK Nokia PR, has tried to quash rumours, however, writing on his Twitter account: "We typically don't comment on rumors. But we have to say that Eldar's rumours are getting obviously less accurate with every passing moment." 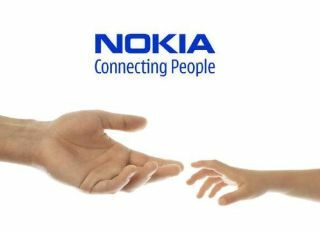 So, denial from Nokia but this hasn't stopped the rumour mill going into overtime.